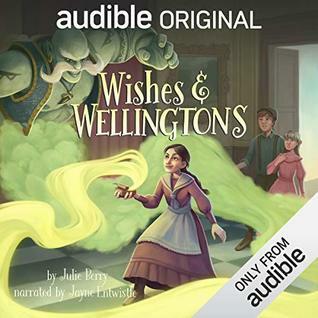 I enjoyed listening to the unabridged audio version of Wishes & Wellingtons by Julie Berry and narrated by Jayne Entwistle. Listening time for Wishes & Wellingtons is 9 hours, 29 minutes. As an Audible member, I was able to download Wishes & Wellingtons by Julie Berry to my Kindle for FREE earlier this month. Below is my honest, unbiased review for Wishes & Wellingtons by Julie Berry. 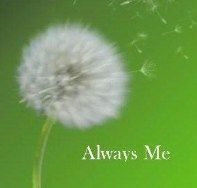 Wishes & Wellingtons is a wonderful read!! I really enjoyed it immensely. Wishes & Wellingtons is a middle grade fantasy genre novel with a strong female leading character in Maeve Merritt. Maeve is a feisty, smart, headstrong young lady that does not believe in submitting to bullies. Maeve is also not a stranger to adventures and getting into mischief. I loved Maeve's character and the story of her discovering a djinni. I enjoyed learning more about the djinni's backstory and his saucy personality, along with the wishes Maeve requests from the djinni, her friendships, and the adventures Maeve and her friends encounter throughout Wishes & Wellingtons by Julie Berry. Jayne Entwistle is also an excellent narrator! I look forward to discovering other books she's narrated. I highly recommend Wishes & Wellingtons by Julie Berry. I am giving it a rating of 4.5 stars out of 5 stars. Sounds delightful! Glad you enjoyed it. Yes, this is a very delightful read indeed!! 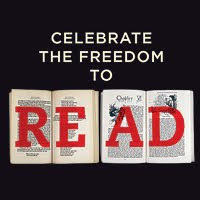 I am an audiobook addict!! The narrator and audio quality have to be good though for me to want to listen to it though. I find myself eating meals while listening to an audiobook or partaking in my other favorite hobby, knitting, while listening to an audiobook.